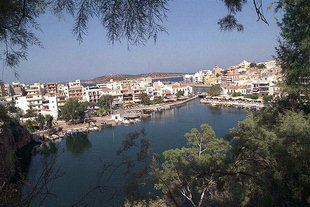 Agios Nikolaos is easily seen as you come from Spinalonga. There is a small island in front of the city with a church on it. 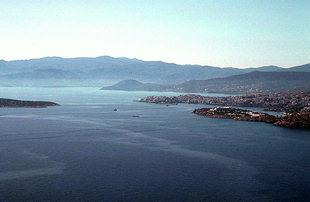 The town is built on the hills above the shore. 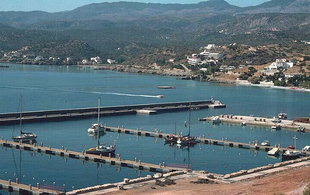 The small harbour in front of Agios Nikolaos is used by tour boats in the summer and the inner harbour (under the bridge) by small fishing boats. 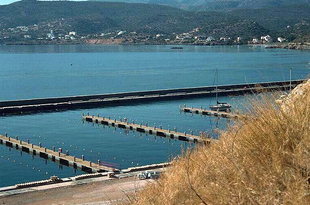 The new marina constructed east of Akrotiri Mandraki has full facilities and can accommodate many boats. Approaching from the east the white government buildings above the marina can easily be seen. 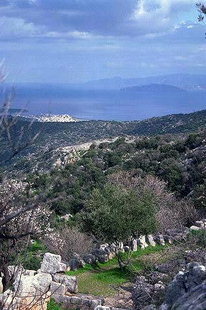 From the west you pass the old harbour, round Akrotiri Mandraki and the harbour is evident. The new marina provides full services, electricity and water on the quay. Fuel refills are easily arranged. 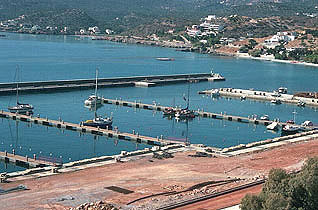 There are Port Police, Customs and Immigration as Agios Nikolaos is a Port of Entry. 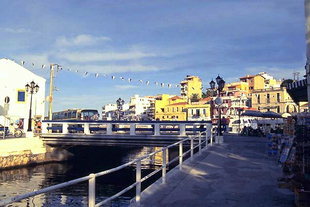 The city of Agios Nikolaos has a General Hospital, private doctors, dentists, and pharmacies. There are banks, post and telephone offices that offer complete services. Many shops are available for provisions and most repair work can be done here. 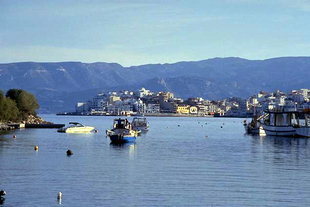 Agios Nikolaos has many hotels and tavernas. During full season it may be difficult to find a room in town. The stern-to, bow-to and alongside moorings in the new marina provide excellent shelter in all weather. The harbour entrance is lit with green on the right and red on the left. The Akrotiri Mandraki also has a flashing red light on the north point.